Volleyball legend and three-time Gold Medalist, Karch Kiraly, was born on November 3, 1960 in Jackson, Michigan. Kiraly is an American volleyball player who is the only person to have won Olympic gold medals in both the indoor and beach versions of the sport. Karch Kiraly grew up in Santa Barbara and learned the sport of beach volleyball from his father, Dr. Laszlo Kiraly. He graduated from high school third in his class with a 3.96 grade-point average. 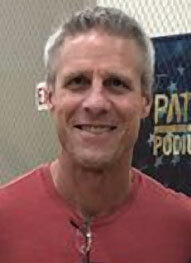 Karch Kiraly is synonymous with the sport of Pro Beach Volleyball. Clearly the 'winningest' player in the history of the sport, Karch has earned more than three million dollars playing beach volleyball and has become one of the most recognized sports figures today. At age 46, Kiraly is considered the "Michael Jordan" of pro beach volleyball as he is the oldest player to compete in the sport and continues to perform at the highest level --- beating competitors literally half his age. He has won at least one tournament in 24 of the 28 seasons he has played, spanning four different decades. He has claimed a title in 24 different states with 13 different partners. In domestic events, he has finished lower than ninth place only four times and has been in the semifinals over 80% of the time. 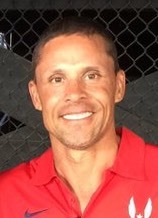 Kiraly and partner Mike Lambert were named 2004 AVP Team of the Year after capturing three titles, then won in Huntington Beach in 2005 to give him win number 148. Kiraly finished the 2005 season ranked fourth on the Tour in both kills (1,243) and digs (805). 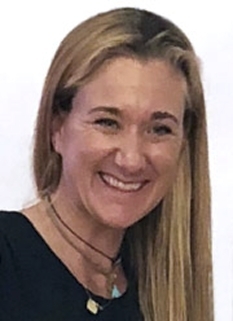 Kiraly is the only volleyball player in Olympic history to win three Gold medals, having been part of the United States' Gold Medal indoor teams in 1984 and 1988, and winning the Gold Medal in beach volleyball at the 1996 Atlanta Olympic Games with Kent Steffes. In 1992, Karch Kiraly was inducted into the UCLA Hall of Fame and had his jersey retired after an All-American volleyball career with the Bruins. While in school, he led his team to three NCAA Championships (1979, 1981 and 1982) and earned All-American honors all four years. In his four years, the Bruins compiled a 123-5 match record, with undefeated seasons in both 1979 and 1982. Throughout his career, Kiraly has earned countless accolades including: AVP Best Defensive Player (2002), AVP Best Offensive Player (1990, 1993, 1994), AVP Comeback Player of the Year (1997), AVP Most Valuable Player (1990, 1992, 1993, 1994, 1995, 1998), AVP Sportsman of the Year (1995, 1997, 1998) and most recently AVP Outstanding Achievement (2004). The FIVB has named Kiraly "Best Player in the World" twice, in 1986 and 1988. He was inducted into the 2005 AVCA Hall of Fame Class. 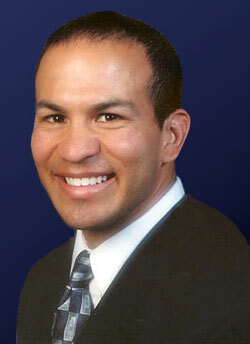 Kiraly currently resides in San Clemente, California with his wife Janna and his two sons Kristian and Kory. DISCLAIMER: PFP Sports Talent Agency does not claim to represent itself as the exclusive agent for Karch Kiraly. PFP Sports Talent Agency is a booking agency that represents organizations seeking to hire pro athletes and sports personalities such as Karch Kiraly for speaking engagements, personal appearances, product endorsements and corporate entertainment. Fees on this website are estimates and are intended only as a guideline. Exact fees are determined by a number of factors, including the location of event, the talent’s schedule, requested duties and supply and demand. PFP Sports Talent Agency makes no guarantees to the accuracy of information found on this website and does not warrant that any information or representations contained on this website will be accurate or free from errors. We are often asked how can I find out who is Karch Kiraly's agent? To find Karch Kiraly appearance fees and booking agent details, you can contact the agent, representative or manager through PFP Sports Talent Agency for speaking fee costs and availability. PFP Sports Talent Agency can help your company choose the ideal sports personality for your next marketing campaign. To hire Karch Kiraly for an appearance, speaking event or endorsement, contact Karch Kiraly's booking agent for more information.